Strengthen Your Immune System Now! Why should you strengthen your immune system even when you are not symptomatic? Our bodies are beautifully and wonderfully made, and our immune system is controlled by the brain and nervous system. Whenever I think about how our immune system locates foreign invaders and attacks them, I am simply amazed at God’s design. Most of us only think about our immune system when we get symptoms. When we start to notice symptoms you may go out and buy some vitamin C or echinacea, but did you know its wise to strengthen and fortify your immune system year round? To be truly healthy, our bodies need to remove the hidden cavitated infections and infestations which constantly up-regulates immune system which congests the lymph system, fatigues your adrenals and your bone marrow. Did you know that your body kills off cancer cells every day? We all have natural killer cells, routinely killing off these irregular cells. Cancer thrives when our immune system is no longer strong enough to identify and kill off these cells. This is one reason why I choose to consistently work on keeping my immune system strong and vital. 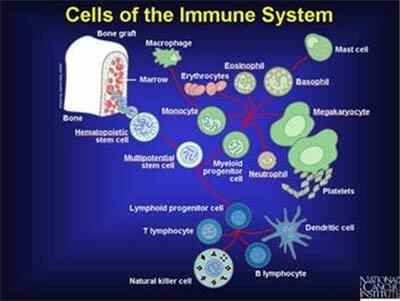 They way to reduce immune burdens in your body is to use sequential immune up-regulation. This is accomplished by using a therapeutic dose of a nutritional supplement to stimulate the immune system to heal for a month, and then continue the process month after month with different products. This continues until we have removed all the hidden infections and infestations from your body, which better prepares you for those large immune challenges. Often I have patients with severe immune challenges come to my practice for help. The results are achieved by feeding their body the fuel it needs to get well, in the form of whole food nutritional supplements and herbs. In addition, we incorporate the other pillars of health discussed in my previous segments and on my website. I am constantly amazed at what the human body is capable of when you remove the interferences to getting well and fuel the system.